Here’s a question I get from civil engineers almost every day: Where can I find a mentor as a civil engineer? Excellent question, and before I even answer it, I want to say that, in my opinion, finding the right mentor in your civil engineering career is one of the most powerful things you can do. Why? Simple. A mentor can give you advice that can help you avoid mistakes they made and overcome challenges they faced. This doesn’t mean that you won’t confront your own career challenges, but having this advice will make it easier. Before we look at four potential sources for finding a civil engineering mentor, I want to recommend a good first step: write down your career goals. This will make it easier for you to select a mentor, because he or she will be able to look at your goals and tell you if they can help you achieve them. It’s always best to work with a mentor that has already achieved goals you are pursuing. Many civil engineering companies have in-house mentoring programs, so check with your human resources department. Ask if there’s a formal mentoring program within the company or if there are any experienced professionals that have volunteered to mentor informally. The company that I used to work for, as a civil engineer, had a formal mentoring program. Through the program, I was able to connect with a mentor who helped me rapidly progress my civil engineering career. 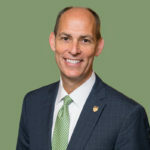 Many local engineering associations have mentoring programs that connect two members of different experience levels to create a mentoring relationship. 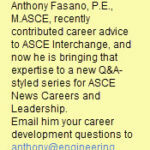 In fact, ASCE has a mentoring program, seeking both mentors and mentees. You can also use websites like LinkedIn to try to find a mentor. 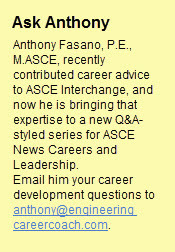 You can reach out to colleagues online or use communities like the ASCE LinkedIn Group to find a civil engineering mentor (request membership to the group if not already a member). Don’t take this option lightly. I know some civil engineers who have found amazing mentors through LinkedIn. Consider reaching out to your college/university alumni association to find civil engineering professionals that might consider mentoring you. I was successful using this tactic early in my career. This approach works well because alumni are typically looking to give back to their schools and mentoring fellow alumni is a great way to do so. 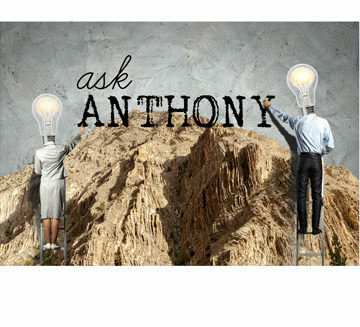 Ask Anthony: What Is the Most Important Credential I Should Acquire as a Civil Engineer?